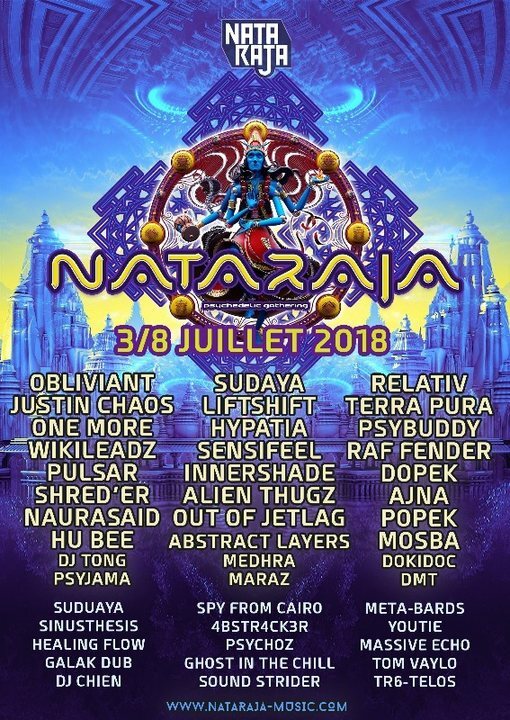 From July 5th to 8th, Nataraja Psychedelic Gathering is back! For 4 days and 3 nights, find us in a small piece of heaven cut off from the world, located just 1 hour from Paris. On the program: music, dance, trance, sharing, creation and escape on a beautiful wooded area of ​​9 hectares, transformed into a psychedelic playground for the occasion! This year, the Hindu culture - the origin of the concept of Nataraja, god of dance and trance - is in the spotlight, and we offer the drink of their choice to all who come with a nice costume in the theme. Join the cosmic dance of Shiva Nataraja!